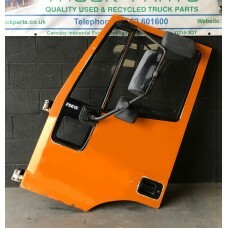 M. W. Truck Parts has in stock a wide range of used truck doors. 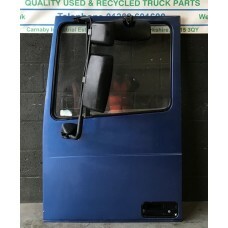 Most of the truck doors we sell are complete units with windows and mirrors intact. Buying a complete driver’s or passenger’s side door from us couldn’t be easier and we’re much cheaper than buying new, with an average 60 - 80 per cent saving. 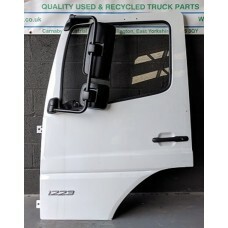 We have in stock right now used truck doors for the Mercedes Atego series, Volvo FL7 and F10 series and a wide range of IVECO, DAF, MAN and Scania trucks. 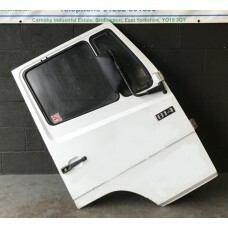 All our truck doors are available to purchase immediately online or over the phone. All the parts we sell come with a 30-day guarantee with a free repair or replace policy on faulty goods. This ensures complete peace of mind. We accurately describe all the products we sell. 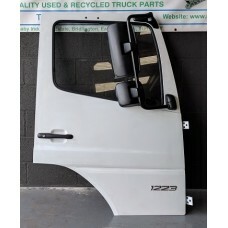 Please note that because these truck doors are used, they will likely need painting before they can be used on a truck, although they will functionally work just fine. We break over a hundred trucks each year, so we always have a healthy supply of doors available. If you need something that is not listed on our website, there’s a good chance we do have it in stock at our site. Please contact us to make an enquiry. 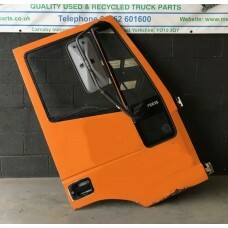 Iveco Euro Cargo 75E15 Near Side Passenger DoorPlease note that company information such as telephon..
Iveco Euro Cargo 75E15 Off Side Driver's DoorMinor Defect: Some rusting on the bottom of the door wh..
Mercedes 814 Off Side / Driver's DoorGood all round condition. Please note some stickers have been d..
Mercedes Atego / Axor Near Side Passenger Door Brand NewFrom the new 2015 onwards face lift Atego bu..
Mercedes Atego / Axor Off Side Driver's Door Brand New ..
Mercedes SK 2421 Type Near Side Passenger Door..
Scania Vintage R113 Streamline Near Side Passenger DoorThe condition of the door, in general is good..
Scania Vintage R113 Streamline Off Side Drivers DoorA vintage door sold as seen for restoration.&nbs..